aug 30: guigui posts a muah! 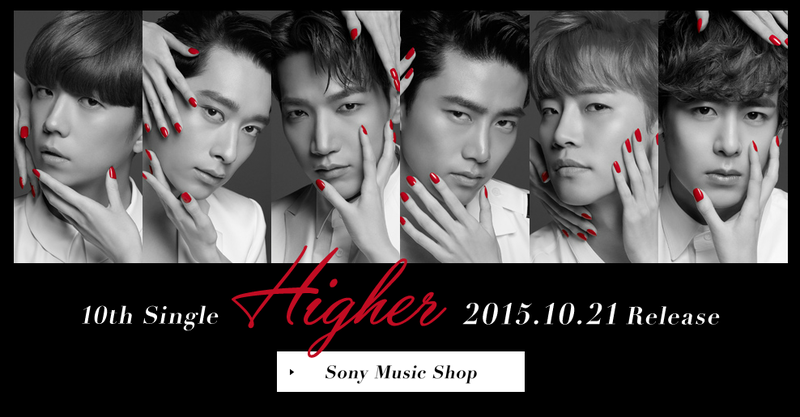 [INFO] 2PM's 10th Japanese Single "Higher" to be released on October 21! 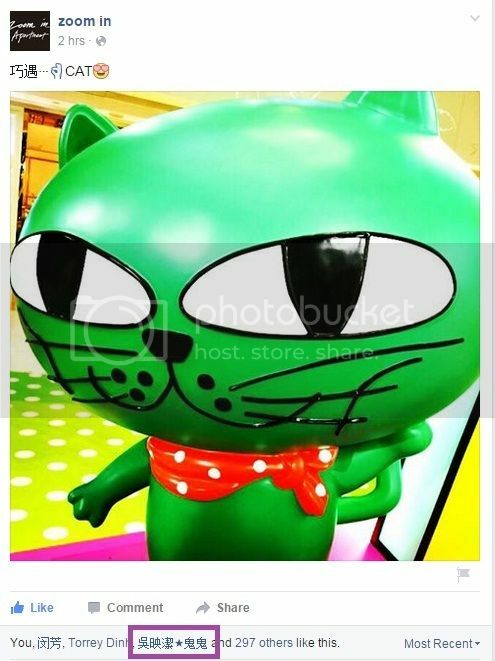 chatter: why is guigui feeling romantic? Thanks for the translation, @mikoshine. Here's another one, please. 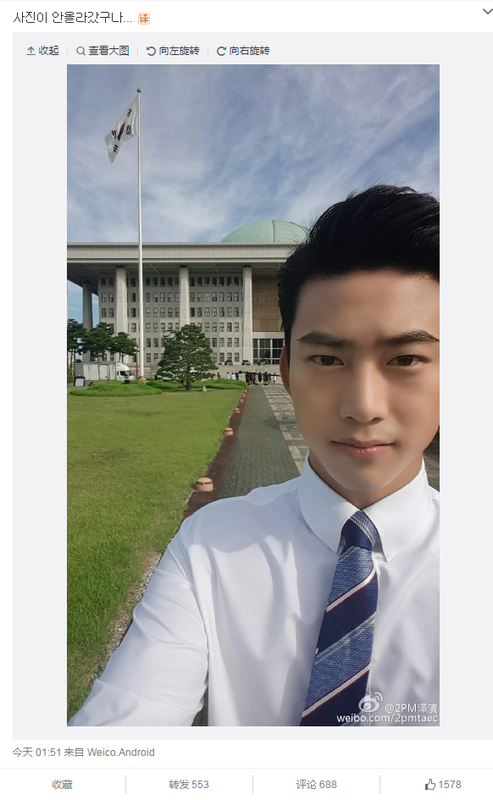 2PM is having a concert in Japan and it seems taec flew out yesterday or day before. am surprised that are no airport sighting pics. anyone seen any? 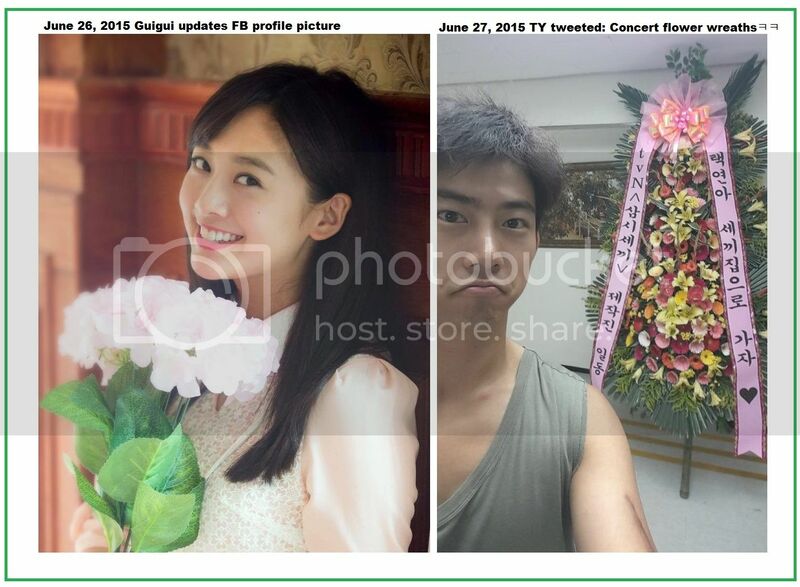 dots: guigui in kyoto, repeating taec? translation from guiguiwuyingjie.tumblr.com: Happiness, anger, sadness, and joy in Kyoto. On the other hand, I was watching an Interview with Gui Gui and she talked about how she likes to go overseas every year, they asked her what countries she likes to go to, she said her must go countries are Japan, America and Korea because she has friends there. Considering GWGM was her first time in Korea, I wonder who her 'friend' could be? 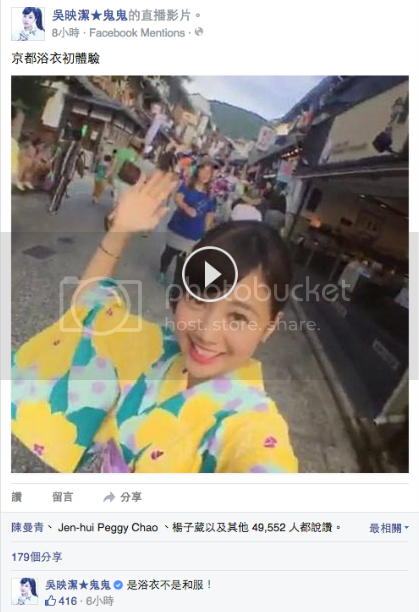 Comment translation: It's a yukata not kimono! If not, @lmangla, this is for our family blog, too. In yesterday's live event, Gui Gui was asked if she was single and what type of guy she liked. Her answer was she is single and likes someone who is over 180cm and weighed 65-70 kilos but most importantly it is someone who loves and cherishes her. 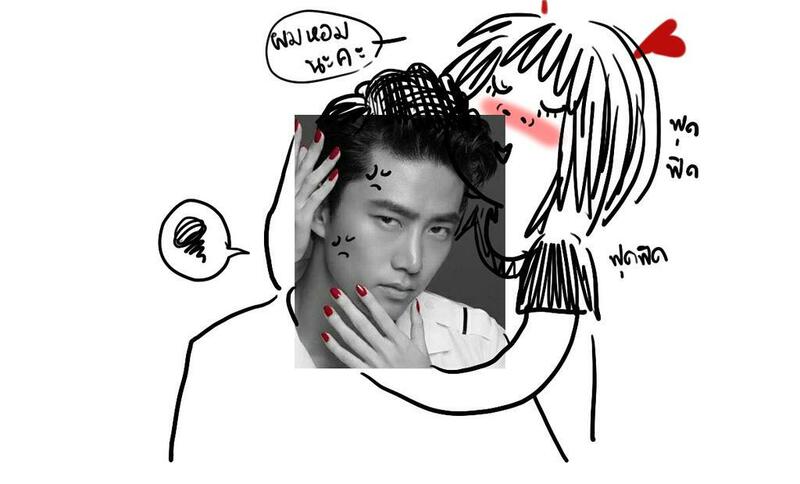 She also admitted to liking halfy kids and finds them cute but has not kept in contact with Taec due to their schedules. 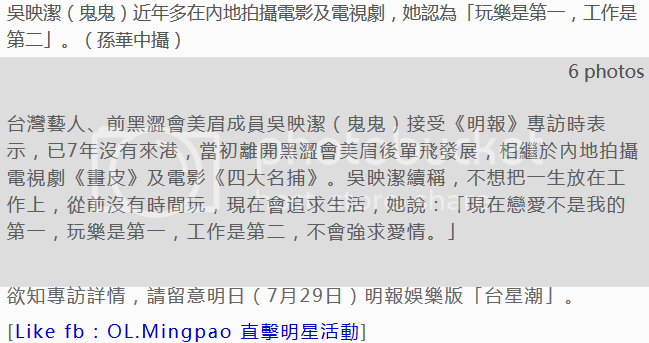 At 11:59pm shortly before midnight, Guigui posted this in English. Maybe I will find happiness in my dreams. What’s so special about July 7? 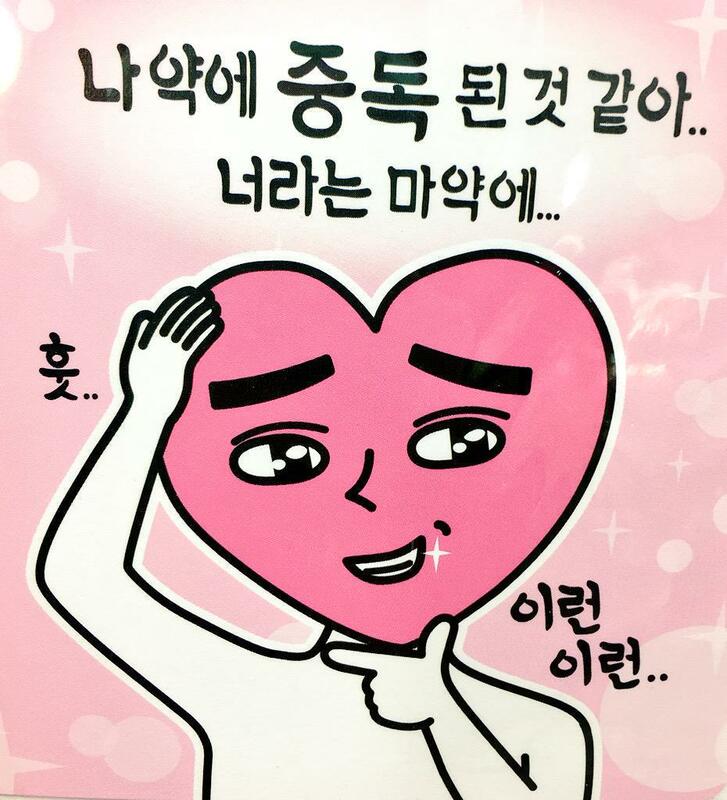 @mikoshine, please help for the translation. something about, Guigui being a bride in a lot of her drama. Asked her the most memorable one of her wedding. 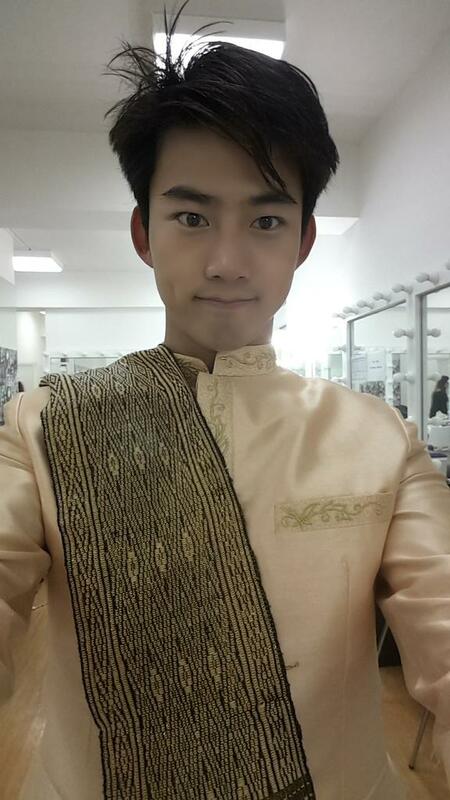 You know that I know that you know her answer is Global we got married with 2PM Ok Taceyeon's wedding was so touching. Because the wedding was set on the beach, made the vows. so at that moment was so ( gando) moved.